TASTE NOTES: Coconut, White Chocolate & Tangerines. 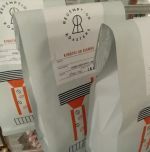 Each bag is heat sealed, with a one-way valve to release gases as the coffee beans settle after roasting, yet prevent air intake. The bag has a reseal mechanism too. 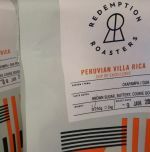 This variety of Artistry Coffee is ethically selected and roasted by Redemption Roasters. Yirgacheffe is a high altitude location in southern Ethiopia, within the Sidama region. 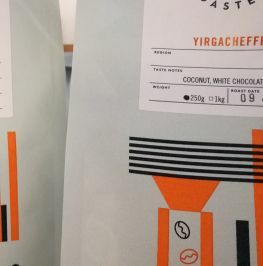 The Arabica coffee plant is widely believed to have originated in this region, and Yirgacheffe is thought of as producing some of the best coffee in Ethiopia, and worldwide. The high altitude (c2100 meters above sea level) promotes a slow growing bean with care needed in its cultivation. The washed process applied gives more acidity and a cleaner taste. 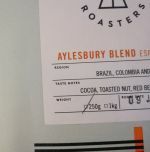 If you're looking for a bean with a distinctive taste, this is a good option!